The Big Picture: What are Wellness Programs All About? 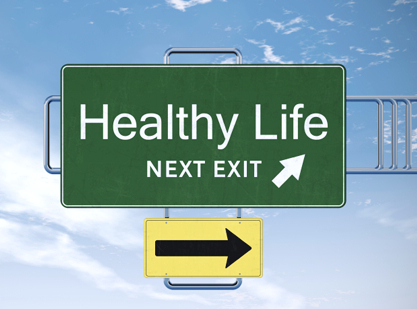 What Are Wellness Programs All About? Each situation will look a little different depending on how a company decides to implement a wellness program and whether or not the services of a corporate wellness company are utilized. When companies partner with Wellworks For You, they get comprehensive management, the very best software in the industry (complete with a customizable, online health portal) and all the creativity that comes with our years of working in this industry. We believe one of the most important pieces to putting together a successful program is our ability to custom design it uniquely for the client. Any combination of these programs can be the answer for any given company. After early assessment of a business’ particular needs, we can help decide with that company what wellness program will best work for them. Is A Wellness Program Right For My Company? If you consider the answer to the big question, “What are wellness programs for?” you will quickly realize that they have something positive to offer any company. No matter what size your company is, what industry it is a part of, or what needs your employees have when it comes to their overall wellness and lifestyle goals, a wellness program can offer answers and help. If you are a company decision maker who would like to make an investment that really pays off, then implementing a wellness program at your workplace is definitely something you’ll want to consider. It can provide you with grateful, happy, energized employees, allow you to do something wonderful for your staff, yourself, and your company, and generate a great ROI. Though corporate wellness ROI is important to consider, it is also vital that you look beyond the percentages of return on investment to the bigger picture. Designing and facilitating a successful corporate wellness program is a worthy goal, but it must be tempered by considering what is beyond the immediate costs or benefits. This is an investment in your business and your employees. However, without a good foundation, your wellness program will not succeed. Before you commit to beginning something new, make sure your foundation is strong and secure. Is your workplace effective and productive? Is the culture of your workplace able to handle a corporate wellness program? Your vision for a culture of health and balance in your workplace will become reality, but you have to be patient, recognizing that it will take time. This new program is going to be a culture shift. Before you can introduce anything new, the environment in your workplace must already be one of mutual trust, respect, and employee satisfaction. Build the foundation for those characteristics first, and then introduce the new corporate wellness program that will truly benefit everyone.